Chronic pain affects 50 million U.S. adults, according to recent statistics from the CDC. It’s become a frequent reason to seek medical care, and it’s also considered the most common cause of long-term disability. Many chronic pain patients believe that having a better understanding of how pain works can play a role in helping find relief from it. A first step in taking a closer look at the mechanics of pain is exploring a notion called the Gate Control Theory of Pain. While the basic concept of pain has been explored by scientists since the 16th century, it was not until the 1960s that researchers made a major leap in understanding the complexities of pain. Put forth by scientists Ronald Melzack and Patrick Wall in 1965, the Gate Control Theory of Pain reasons that pain sensations are involved in an intricate series of communications between the central nervous system (the brain and spinal cord) and the peripheral nervous system (nerves elsewhere, in the torso and extremities). According to their studies, sitting between are a series of “gates” that can either transmit or block pain signals. How patients experience pain depends on the interplay of the gates and these two systems. With either an injury or a chronic condition, pain messages originate in the nerves in and around the affected tissue – such as muscles and ligaments in the leg. They then travel along the peripheral nerves to the spinal cord and eventually to the brain, and the body experiences pain. Gate Control Theory suggests that there are gates on the nerve fibers between the peripheral nerves and the brain, and they help control how pain messages flow from the peripheral nervous system to the central nervous system. Under normal function, these pain signals travel freely along “fast” A-Delta nerve fibers (that sense sharp pain) and “slow” C nerve fibers (that sense dull pain) through the open gates. The signals then pass through structures called Projection Neurons, moving quickly on to the spinal cord and ultimately the brain. Following the theory, if one hyper-stimulates A-Beta fibers (that sense touch) in the area experiencing pain, it can cause a reaction from nearby structures called Inhibitory Neurons. Once activated, Inhibitory Neurons, which sit on the same path as the Projection Neurons, can mute pain signals before they reach the spinal cord and brain – effectively putting a damper on the pain. With the medical community’s acceptance of this innovative concept, many began looking for treatments that could help create the hyper-stimulation necessary to inhibit pain signals. And they found several. 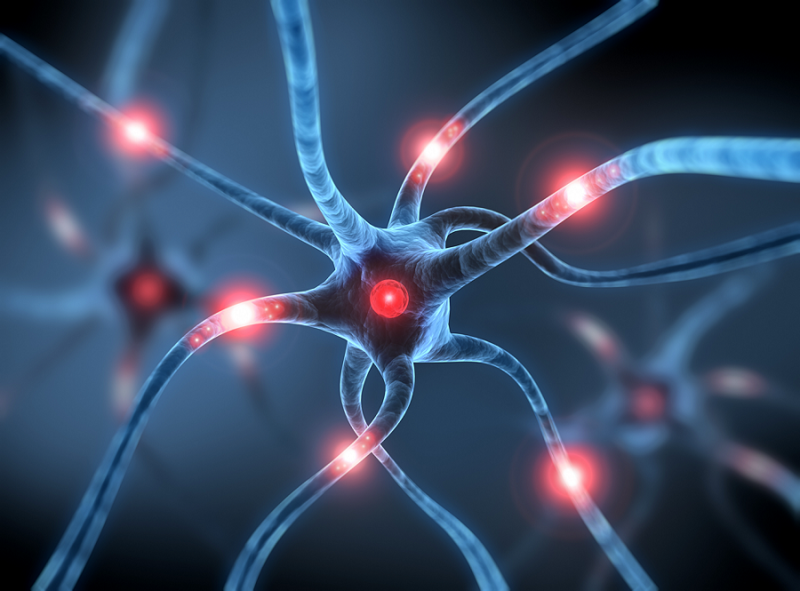 Therapies that affect the A-Beta nerve fibers – such as massage, acupuncture and surface nerve stimulation – are all thought to act on the nerves in such a way as to provide pain signal interruption. For surface nerve stimulation (also called electrotherapy), the level of effect can even be impacted by the type of signal being used. Over-the-counter TENS units deliver low-frequency current. Because low-frequency stimulation is unable to reach the deep tissue, standard TENS units generally provide only limited pain relief. As a result, patients may be required to wear these devices many hours a day and receive benefits only when the device is on the body. A more advanced form of surface nerve stimulation is high-frequency interferential therapy, such as provided by the RS-4i Plus. In a 20-30 minute session, this higher-frequency current is able to penetrate deeper and create the hyper-stimulation necessary to close the gates and prevent pain signals from reaching the brain. In additional to blocking pain signals, high-frequency interferential therapy offers a secondary benefit of releasing endorphins – tiny molecules produced by the central nervous system and the pituitary gland that inhibit the communication of pain signals. The 20-30 minutes of high-frequency tissue stimulation is thought to provoke the brain into this release, which results in pain relief that generally lasts 4-8 hours. Read more about endorphins. Do you have thoughts to share? Please let us know! We’re delighted to have readers add their experiences in the comments below.